Taiwan said Friday that Interpol had rejected its request to attend next month's general assembly meeting in Dubai as an observer, blaming Chinese pressure in the latest snub from an international forum. Beijing has pushed to have high-level influence and representation in international bodies such as Interpol. However, the downfall of former Interpol chief Meng Hongwei -- who went missing on a trip to China last month and subsequently resigned -- could now set back that effort, experts believe. The Taiwan government confirmed Friday that it had received official notification from Interpol that its request to attend the meeting as an observer had been denied. 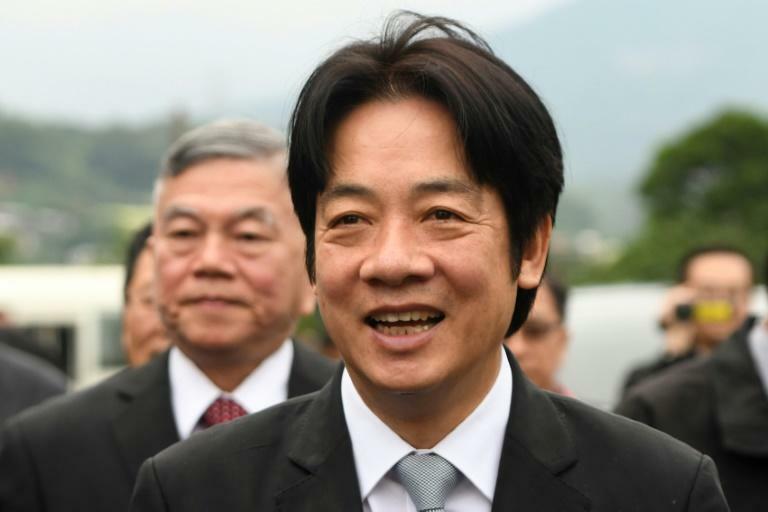 "Interpol's rejection of Taiwan is unreasonable but we know the important reason behind it is China's suppression of Taiwan," Taiwan's premier William Lai told reporters. He described China's behaviour towards Taiwan as "arrogant and high handed." China sees self-governing democratic Taiwan as part of its territory awaiting reunification and has used its clout to diminish the island's presence on the world stage since Beijing-sceptic President Tsai Ing-wen took power in May 2016. Taiwan first requested to attend the Interpol meeting in 2016, when it was also denied. It did not apply in 2017 because the annual meeting was held in Beijing. Taiwan's foreign ministry expressed "strong regret and dissatisfaction" at Interpol's decision in a statement. "Taiwan is justified in its desire to take part in Interpol and has the support from its allies and like-minded countries, including the United States," the statement added. Taiwan's bids to attend international forums are regularly thwarted under pressure from Beijing. The island has also been blocked from participating in the World Health Assembly (WHA) and the International Civil Aviation Organization (ICAO) assembly meeting. China's foreign ministry has said that the island was only able to attend the WHA from 2009-2016 because the previous Taiwan government had a consensus with Beijing that there is only "one China". While the island's former administration touted the agreement as enabling cross-straits relations to flourish without compromising Taiwan's sovereignty, Beijing saw it as meaning Taiwan and the mainland are part of a single China. President Tsai and her independence-leaning Democratic Progressive Party have refused to acknowledge the principle, which Beijing sees as the bedrock for relations.